Here's a sweet commemorative video that was seen in today's episode of Kamen Rider Ghost celebrating the 45 action packed years of the Kamen Rider franchise! 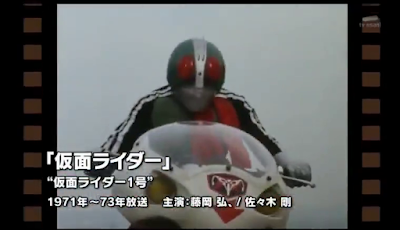 This video shows us all the main Kamen Riders from Kamen Rider Ichigo (1971) to Kamen Rider Ghost (2016). No Riderman? I know he's in Kamen Rider V3 series but at least, show his henshin footage. Well, apart Kamen Rider 2, did they show any secondary rider ? 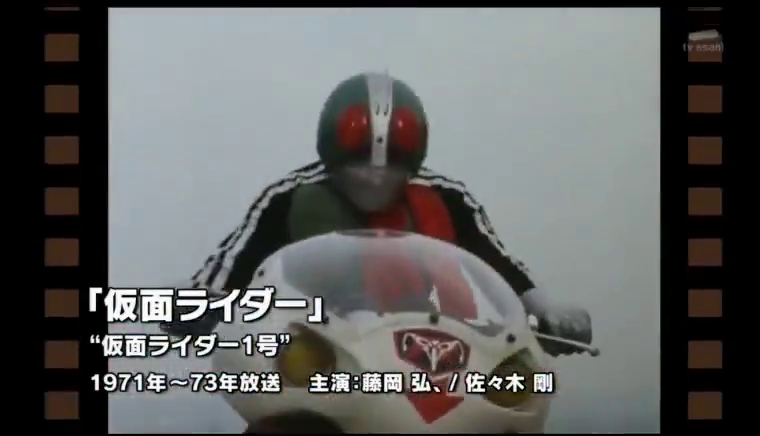 Yo, Riderman is count as no #4 by Kamen Rider V3, even Sekai no Hakaisha did show us that Riderman is also counted as separate protagonist Rider.